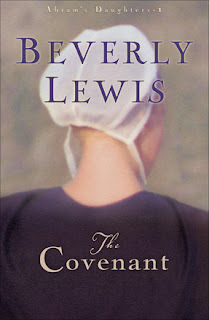 Beverly Lewis is a prolific author of inspirational fiction. 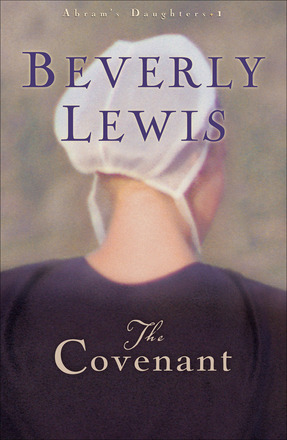 The first in a series called Abram's Daughters, The Covenant won the ECPA Gold Book Award for 2006. I don't know what possessed me to choose an Amish inspirational novel---perhaps because it was free on Kindle. Also, I knew that Beverly Lewis was a popular author. Set in Lancaster County, PA, the story is well-written. It is mainly about the adventures of Sadie Ebersol, the oldest daughter of Abram Ebersol, who sneaks around with an Englischer boyfriend. Leah, the next oldest daughter, helps her father with the farm work because there are no sons. She, too, has a love interest, but not the person her father would choose for her. Like some other reviewers, I had trouble keeping up with the sheer number of characters. Since this book is the first in a series, I'm sure the author felt she had to introduce them all, whether she had time to cover them well or not. Two other sisters are twins, Hannah and Mary. And, there's a new baby sister born to the Ebersols in this first volume, setting the series up for total of five books. I was disappointed that the story ended so abruptly. No "closure" at all. So far, I have not been tempted to read the other books in the series. If it's still free on Kindle, you might enjoy it, so I won't discourage you. Do take some time to check out all the awards Lewis has won on her website here. Disclosure of Material Connection: This book was (and probably still is) free on Kindle at Amazon.com. I was not required to write a review.